With all the talk about Nicki Minaj's OPI collection, I suddenly remembered how much I LOVE the Katy Perry Teenage Dream nail polish by OPI, I bought it last summer and completely fell in love with it, after my first time wearing it, I had to buy a few bottles of it just in case I ever ran out of it! 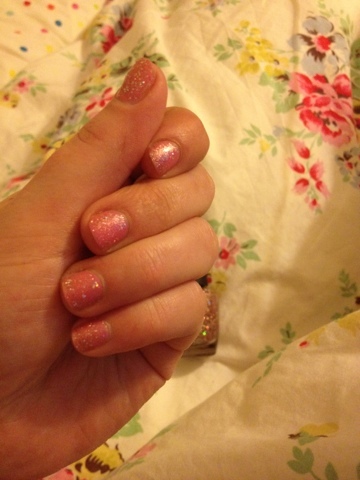 I'm a big fan of glitter polishes anyway but this one is just so pretty and cute! I always get asked what polish it is whenever I wear it. The polish itself is a very sheer pale pink with small and larger pieces of glitter running through it, I wear this over a base coat of Nails Inc Brompton Place, just so it's got a bit more depth to it and the glitter stands out a bit more, It also has pretty good lasting power for a glitter, I normally get a good 3 days out of it before I start to notice any chipping happening! I did buy the full Katy Perry OPI collection when it came out but I have to say this is the main one that really stood out for me, I think I could definitely say that this is in my Top 5 favourite polishes (which is saying a lot for me, I used to have a bit of a nail polish obsession and literally have a ridiculous amount of nail polishes!) It's quite difficult to find this polish now but if you google it or eBay it, you can generally get it in the £8 - £15 bracket! Definitely recommend! Do you have any of the Katy Perry OPI collection from last year? 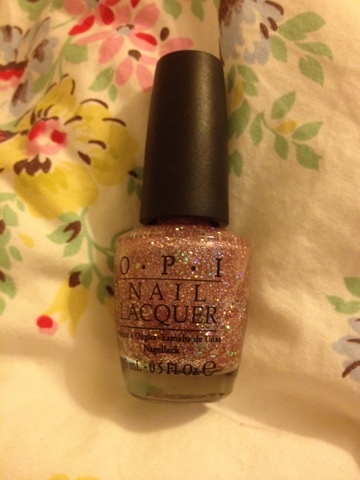 8 comments on "OPI Katy Perry Teenage Dream Nail Polish"
I missed out on this collection, really want last friday night. 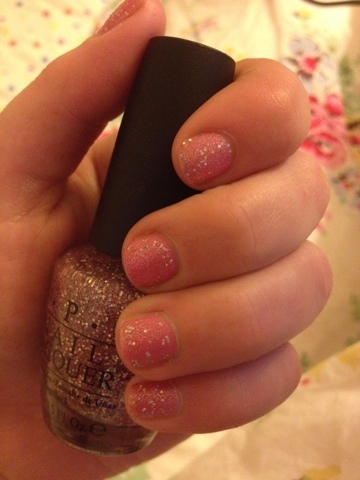 I love glitter nil polish so have been looking on ebay but there's so many fake sellers so a bit hesitant to buy. I LOVE this varnish, really want to get my hands on it!